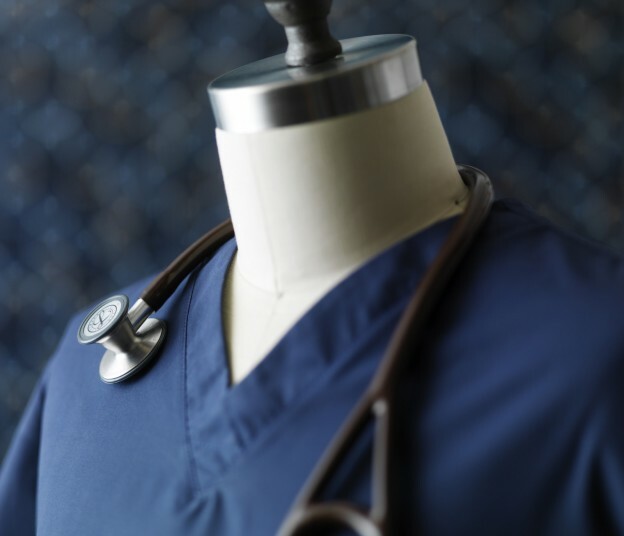 What is the difference between doctor scrubs and nursing scrubs ? One could say quality of the fabric or functionality, as doctors don’t usually need that many pockets and prefer classic, traditional style scrubs with solid colors vs bright funky patterns. There’s a company that specializes in designing scrubs for doctors, clinician scrubs and designer scrubs for medical professionals. It’s called Medelita (www.medelita.com). Leading manufacturer of the high quality medical clothing, doctor scrub top and scrub pants and custom tailored lab coats. Resembling a higher quality woven short-sleeve shirt rather than a regular scrub top – Medelita design allows for a confident and distinguished appearance amongst patients and colleagues. Reviews of the Medelita Doctor Scrubs. “I dare you to find someone that doesn’t immediately fall in love with medelita products. I purchased a pair of scrubs for myself based on the soft feel and beautiful color. After wearing them – talk about so much more! I ordered my sister a pair of scrubs with embroidery for her graduation from medical school. It will be her first item with “Doctor” on it. I have no doubt she will be as proud to wear her fine scrubs as I have been. Cheers to a wonderful product from an exceptional company.” Beth, Physician. This entry was posted in doctor scrubs, Physician Scrubs and tagged clinician scrubs, men's scrubs, OR scrubs, physician scrubs, quality scrubs, scrub pants, scrub set, shop scrubs, women's scrub on October 22, 2012 by medelita. Why Pay More For Medical Scrubs?